YoWorld Forums • View topic - [FEEDBACK] New Year New Yo: QOL FIXES! [FEEDBACK] New Year New Yo: QOL FIXES! General discussion about YoWorld. NOW INCLUDING feedback and suggestions! Re: [FEEDBACK] New Year New Yo: QOL FIXES! Please can you change the XP for buying multiple items! i don't know why it's set like that but it would be good if you got the same XP for buying 15 items together as you would for buying 15 one at a time! is it a mistake its like this or is it for some reason? Theresa (122233016) wrote: Please can you change the XP for buying multiple items! i don't know why it's set like that but it would be good if you got the same XP for buying 15 items together as you would for buying 15 one at a time! is it a mistake its like this or is it for some reason? completely agree with this, it should be the same amount of xp as buying the items one at a time. Join PLUSH Trade Center on Facebook here! ... i really don't get why it isn't it makes no sense! hopefully they will fix it! I also agree with this. We spend enough cash and coins that we should get the XP in return! Thank you for the Double XP Points last weekend. It was great to see in game so many players taking advantage of it. I wanted to ask whether we could get the double XP weekend as a regular element of the game. I'm sure that the game data will evidence an increase in player activity across the board making use of it. I would even be okay with it being featured like the YC Boosts we currently get and we could pay for YC to get double XP for either 24 / 48 hrs. Zynga used to give us weekend double XP points regularly and it was always a period of higher activity and numbers in game. That can only be a good thing both for BVG and us the players. At the very least please continue to use double XP as a community event prize for any future events that may come our way. That is definitely an inducement that I think will encourage players to get involved in the event. ...........................................Which is probably the reason why so few engage in it." Location: SmiliN & LiviN My Best yO-Life! - Overhaul of the Map, I think this is something that doesn't necessarily have to happen right away but it would change things up for the better, so I would suggest maybe giving them all a visual overhaul from outside & inside & maybe even adding in additional rooms & maybe add in virtual menus and whatever we selected would appear on our seating. I think that'd be really cool. As for other areas, you could just improve them visually & add in items that would fit their themes. Also, I'd like to see some new additions, like a football field & a baseball field, I would also like to see the gym brought back but with the interactive items from your YU2016 theme. I think that'd be sweet, you could make a theme about fitness too, I think it'd be cool to see different body types added! - Redoing the whole Pets follow mechanic,. I think you should have to train your dog to walk by itself, at first you could walk your dog with a leash. Also for the pet store overhaul, if you select a pet you can preview them in a room, That'd be pretty neat. - MORE color options for clothing options. I think that would make a lot of people happy so that they wouldn't be bummed out because their new favorite shirt isn't available in every color! - I'd like to see new versions of the old themes from Zynga. I'd love to see a new Mafia theme, or a new nightclub. God forbid me from saying this but I would like to see a 50 Shades of Yo Part 2, even if it's PG-13 I wouldn't mind as I loved the idea of modern & luxury penthouses and the beautiful furniture. - I'd like to see more design contests, now it doesn't have to be an absurd amount like every theme but I'd like to see them more often. Example: Vday Design Contest in February, Anniversary Contest every May, A new summer themed one or a certain theme selected by you guys for July, Halloween well every October, & a Christmas one. I think that would be a perfect balance of BVG designed items & player based items. I think it's a win-win for all of us. - I'd like to see more originality in the themes, now that doesn't mean that they don't have to fit the same genre as past themes but a different take would be nice. - A feedback of the quality of items we've been recently for the past few years: I know you guys are trying your best & working real hard but I sincerely hope this feedback helps. I think the big noses need to go away & I think you guys should maybe just maybe try to put in more detail into the items, I think that would help out a lot. I rock my Royal India eyes because they're the perfect fit for me. I love the detail they have, the shape of them. I think you guys should look at previous items as inspiration for how you want to design/improve your quality. I think ultimately you guys can do it, whether that's hiring designers from the contests to work at BVG to help design the items or something else. I'd like to have option in AH to sort by "Buy out Price". To see just things that can be bought emediately. Can you please fix items where they can be rotated in any position when we place them in our room, like we used to be able to do? Right now, when we have an item, we are only able to rotate it in a couple of directions instead of in a full circle where it faces every direction. It makes it impossible to use some items or having our room look stupid because things are not placed the way they should be. There are a lot of items I've wanted to use in a room but have not bought them because of this issue. One other issue is the flooring tiles. There is a major layering issue with them (and actually a lot of other layering issues in the game). Other items go under them unless you can place something just right. It would be nice if this would not happen. There are some rooms, like the modular rooms, that I was unable to change the floor, except with the floor tiles but then, trying to place my furniture, rugs, etc... was a very tedious process because of the layering issue. Scale. Please ask them to work on the scale of items. We will have very tiny chairs or tables and then big plates of food and drinks or small sofas and chairs that look dwarfed in comparison to other pieces. More variety in color choices in clothing, furnishings, hair, etc.... Seems like we get stuck with the same colors over and over when there is an entire rainbow of colors to choose from. It would be great to have more options in this. One example: In the recent 50's theme there was an ice cream counter. Very nice item. The problem? It only came in red while the rest of the counters, tables, etc. came in red, blue, green and yellow. It would have been nice to have that match whatever color we decided to use for the rest of the room. It would be nice to see in store or auction house some kind of mark or something letting us know if we already have an item in our inventory before purchasing it again. Some kind of inventory clean up is needed badly. I know we have all these different themes and that makes it difficult but it is very tedious and time consuming to look for an item in our own inventory or even in the store. You could type in chair and get everything from chairs, to couches, etc... You won't even see every chair that there is because it won't bring them up by typing that in. Another example is on the NPC's: You can't just type in female NPC and see all the ones that are female. If you don't know which theme or the exact name, you get a list that is extremely long and you have to look through it all to find the one you're looking for. It would be nice if that were fixed somehow and also be able to look them up ty either coin or cash, like we can in AH. Please, occasionally, bring out coin couches, beds, appliances, trees, hair, facial features, etc...., like we use to have. Some of the older items are outdated and need to be refreshed. Thank you for listening. I'm glad you are asking the players what they want to see and hope you will implement some of these ideas. Anthony SpaceTime (102235402) wrote: Can we decorators get more of these items, but with new and different patterns? Like sunsets, cities and skylines, and other spatial and cosmic scenery? Some of us have been begging for these for a long time. Oh yes, I'd love them.. I was just talking about this today. The backdrops from the Hollywood theme were fabulous. I still use them, but am almost out of them. Would you please make LARGE backdrops? The starry one Anthony shows (which I adore and use a lot) is just not large enough. I enjoy the greenish one with the mountains, the moonscape...well, all of them, really. I'd like a large sunny blue sky, a cloudy sky, a stormy sky, sunsets, nighttime, various natural vistas, etc. And yes, they need to be layerable, go behind everything. In the same vein, some tracks for the music player that evince nature, ocean waves and sea birds, forest birds and insect susurrations, things like that. Even an old fashioned train going over the tracks! As to the closets, as well as the furniture inventory, we need a "recently added" category. Sometimes it's difficult to find something we have bought, or been gifted. It would be wonderful to move items into whatever category, tab, or folder we wanted them in, as many times there is no logic to their present organization. Would you also please change the 6 item at a time click window to a scroll bar? It takes so long to go through my clothing collection there are many items I never see -- I forget I have them. I'd love it if we had a doorbell that people could notify you they're in your room if you're on another tab, perhaps. I truly wish you would fix the buddy list issue that so many of us have had since june of 2016, when you changed it so we could bonus visit not only FB friends, but also buddies. For those of us who have been affected, half of our FB friends have disappeared from the friends ladder, and only appear in the buddy list with their game name, not their real FB names. 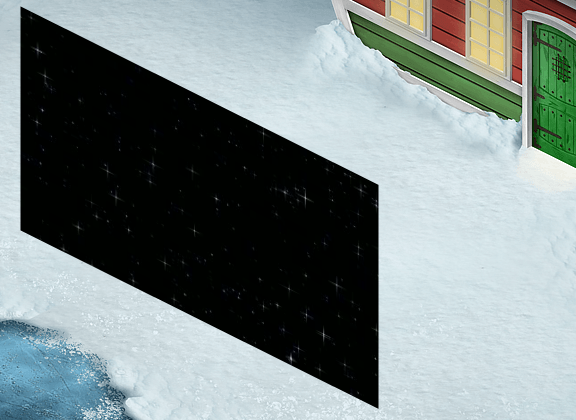 This means we can't visit them for the gift box, nor can we see their offline avatars if we visit their rooms. I have had to hold events for new FB adds to try to click "add buddy" as they don't appear in the list. Sometimes that line doesn't show and you have to try another day, and often many more times. Please please fix this??? When I first started in Yoville in 2009, as long as you were at least talking, even if you were not moving, you wouldn't be disconnected. Would you please change back to that? It's annoying to have to remember to move or else be disconnected, kicked from the game. Another feature I enjoyed was the little typewriter that indicated that someone was typing. Can you return this or another indicator, like FB messenger has the 3 floating dots, or IMVU has the speech bubble? I would love to see a searchable house menu for when you attach houses/rooms together, at least a scroll bar. That's all I can think of for now. Yes to all of these!! - Implementation of comas when going to bid in the Auction House, this will lower the amount of overbids made on items. One more thing to my list above: Can we please get some kind of refresh button on the clock in the AH? Unless I'm missing it, you have to re-click on the category or whatever and then get back to the one you're looking at to get the correct time until the auction ends. It would be great to get some kind of refresh the clock button so we don't have to do that. Thank you! Queen Butterfly (11132566) wrote: One more thing to my list above: Can we please get some kind of refresh button on the clock in the AH? Unless I'm missing it, you have to re-click on the category or whatever and then get back to the one you're looking at to get the correct time until the auction ends. It would be great to get some kind of refresh the clock button so we don't have to do that. Thank you! Although a refresh would be great, until then you can click the checkboxes to refresh--in store or with bids. Anthony SpaceTime (102235402) wrote: What if we completely changed what gem events looked like? Instead of gems, every player got their own arcade card, where they store tokens. Every day, we'd go out to complete normal tasks throughout the map as we do now, only instead of getting gems, we get tokens added to our arcade card as a reward. There would be a new arcade on the map, where we can go play minigames. Playing costs tokens, but every time we play, we win prize tickets (something is always won even if you lose the game but winning the game gets you more prize tickets). We can then redeem those tickets for prizes! Every month a new prize pool would be introduced, as it is now. The prizes would not be a mystery though, like a real arcade we'd be able to pick and choose what prizes we want, and each one will cost a different amount of tokens. We get to keep our left-over tokens and prize tickets after the event ends too, as they will roll over to the next one. There can be 5-6 tiers of prizes as there are now, and a new one can be unlocked the more you complete those daily map quests. The only way to earn tokens, is to log in every day and complete those tasks on the map. It puts all the power and skill in the hands of the player and completely eliminates any subjective voting systems. It would also eliminate gambling because again, we get to see all of the prizes, and pick and choose the ones we want to redeem our prize tickets for. Also, assuming it's an arcade and not a casino, none of the games will involve any gambling. At all. *Copyright © 2014 Big Viking Games. All rights reserved.